Micron Electronics is a global supplier of Machine-to-Machine (M2M) and Internet of Things (IoT) technology and products. Headquartered in Boca Raton, Florida, Micron offers Wireless Solutions, Design Services, and Modules to meet customers’ specialized needs. 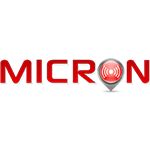 Micron Wireless Solutions include mPERS and asset tracking devices. The company has its very own R&D team consisting of highly experienced engineers who can design customized products to specific business requirements. The chart below shows the changes within the last 30 days in the number units of Micron devices type are connected to Wialon Data Center.